I had a client tell me this week that he was giving up Facebook for Google+. I also had a different client who told me that he sees no reason for his company to be on Google+. So who’s right? There has been a lot of hype this week, with the introduction of Google+ Brand Pages and whether they would be able to replace Facebook. Pete Cashmore said it best when he said that those who asked whether Google+ would be able to topple Facebook were simply asking the wrong question. In the world of Social Media today, Facebook is the undisputed King of the Castle. With 800 million users and growing, it’s so deeply ingrained into our culture that it seems impossible for us to imagine a world without Facebook. It’s invaded our Internet ecosystem, our lexicon and way of relating to one another. 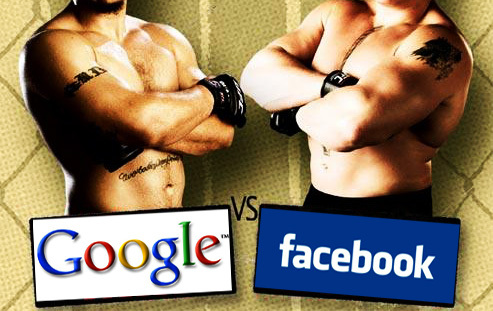 So the question can’t be whether Google+ will topple Facebook. It won’t. The question becomes how will we, as a culture, integrate Google+ into our businesses and our lives. When considering who will “win” the social networking race, it’s important to note that Google+ stems from the Search Engine giant that is Google, itself. By adding the +1 feature, Google allows users to share their interests in any content to their connections. Seeing the +1 button for a site tells you that someone within your circle endorsed or recommended the site, adding the credibility factor. Google takes all those little +1 votes and uses them to add value to a site, which will, essentially, change the face of SEO. Unlike Facebook, Google also has its bag of tricks, which include Google Hangouts that allow you to screen share and integrate Google Docs, Notes and Sketchpad, as well as YouTube integration. So which one is better? I guess the real answer has to be both and neither. Facebook will always have its place in social networking. Their Fan pages, unlike the Google+ Brand pages, allow for contests, polls, customer postings and a true ability to engage with their Fans. Google+ has just unveiled their Brand Pages and while there has been a great deal of criticism, as of late, I do believe that future changes will strengthen their position in social networking. So bottom line is that, as always, you have to know your client, know what their goals are and what they hope to accomplish by using the different social media technologies. One is not better than the other and we should remember the old adage “vive la difference.” It’s clear that Google+ is here to stay. And so is Facebook. Now can’t we all just get along?